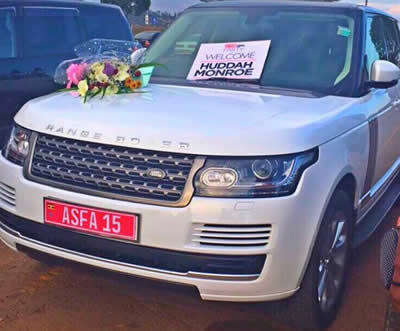 Kenyan socialite Huddah Monroe who's also a former housemate of Big Brother Africa The Chase arrived in Uganda only to be welcomed by thousands of fans. The slender socialite flew to the neighboring nation to grace a hyped party that happened yesterday. Ugandans sure know how to treat their guests. Huddah brought Kampala down last night. 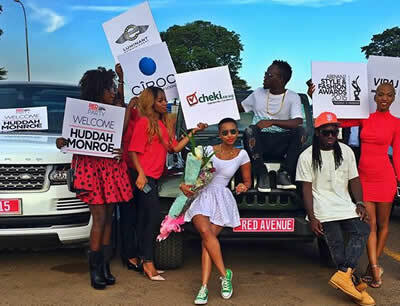 The much talked about Red Avenue Party happened yesterday at Club Guvnor in the Ugandan capital, Kampala. ALSO READ: Idris Sultan Gets New Girlfriend But Is She Better Than Samantha!! The ex Big Brother Africa star's hosts were eagerly waiting for her arrival at Entebbe International Airport. The Ugandans had assembled a big contingent to meet the Kenyan socialite as she touched down. 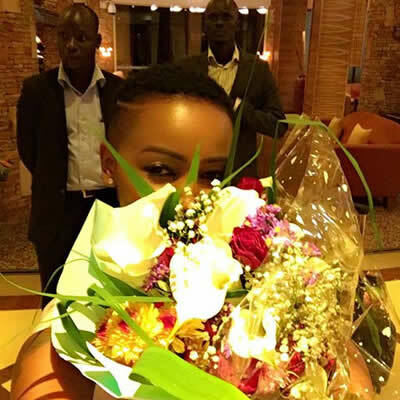 Fans were waving placards bearing Huddah’s name the moment the socialite was spotted coming out of the airport to the parking lot. 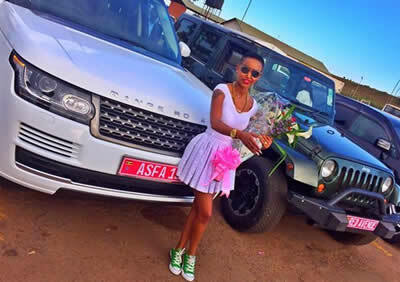 Range Rovers, Jeeps and other fancy rides were some of the vehicles used in the procession that ferried Huddah to her hotel.